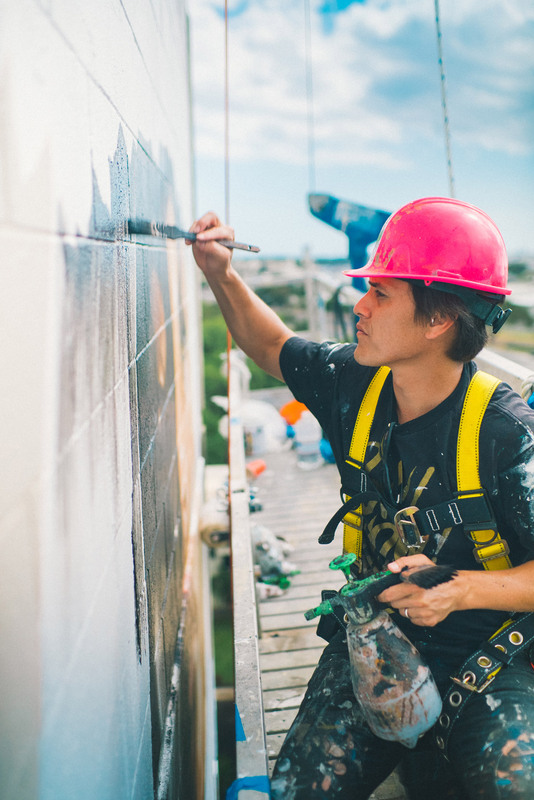 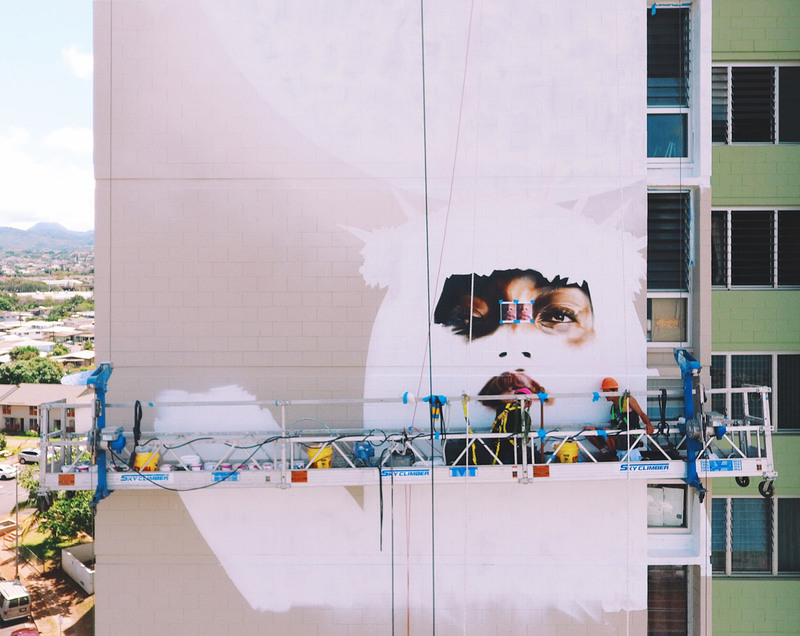 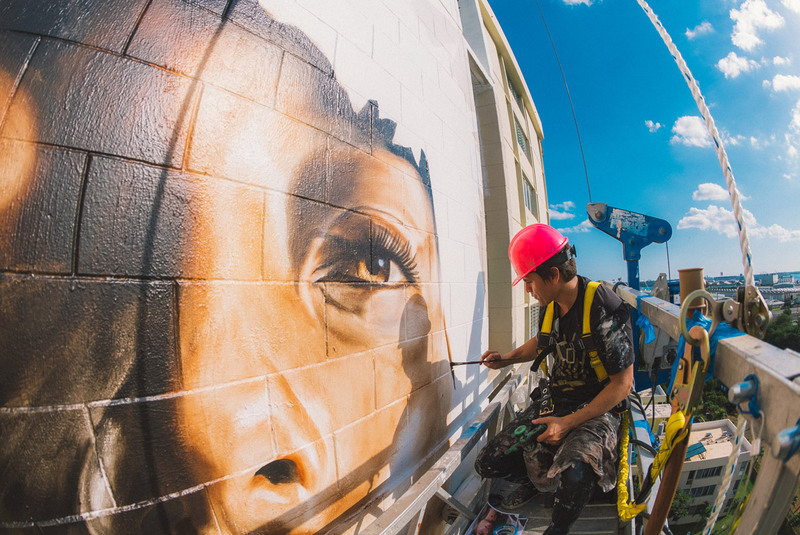 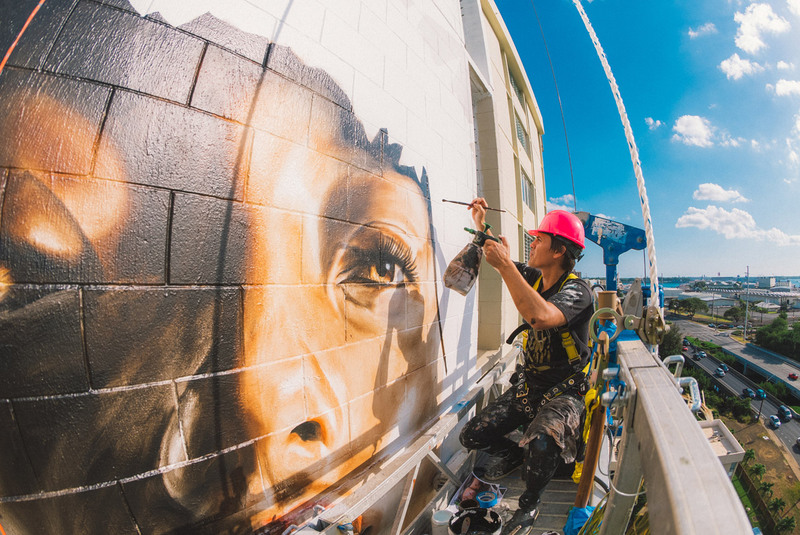 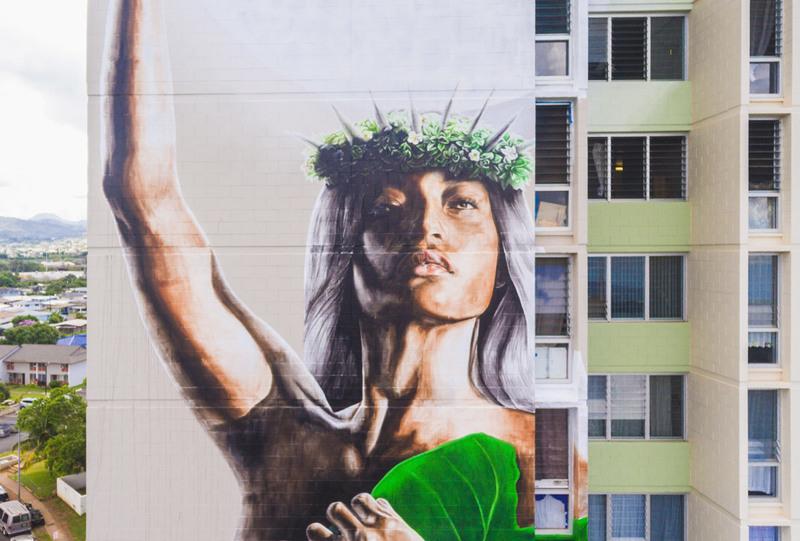 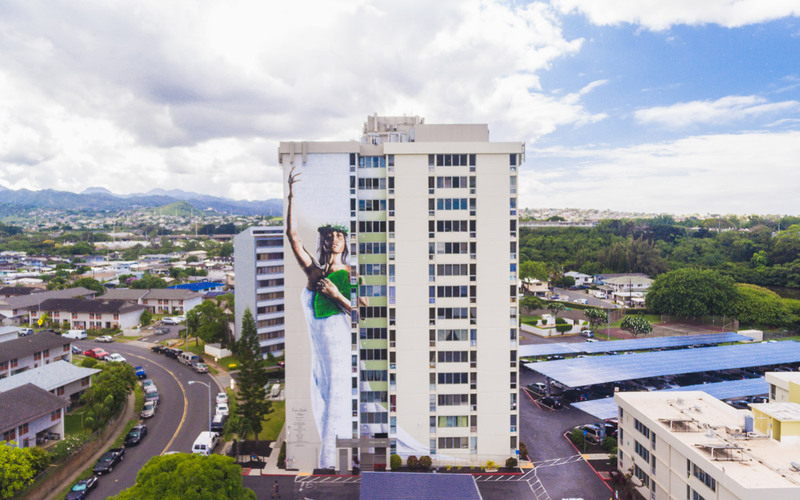 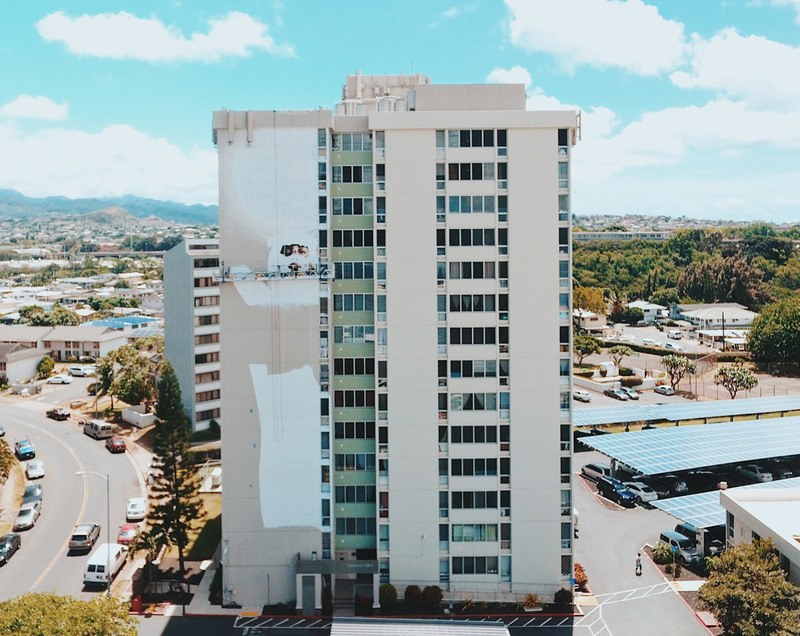 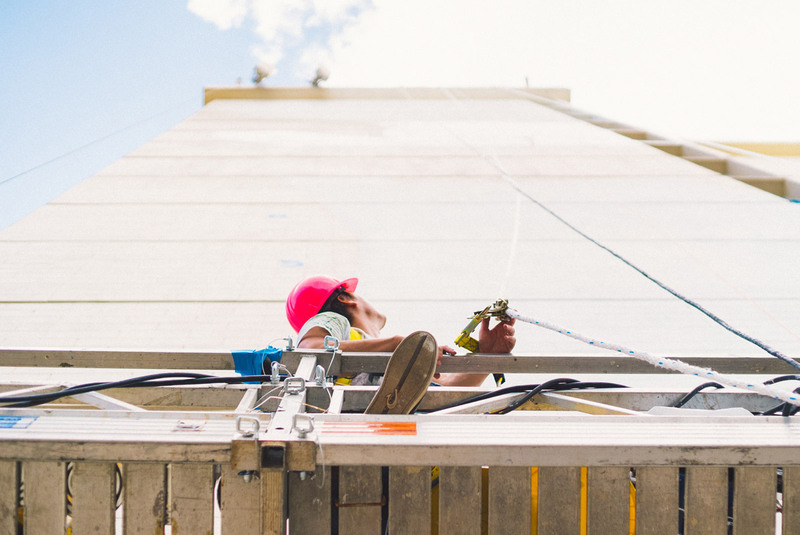 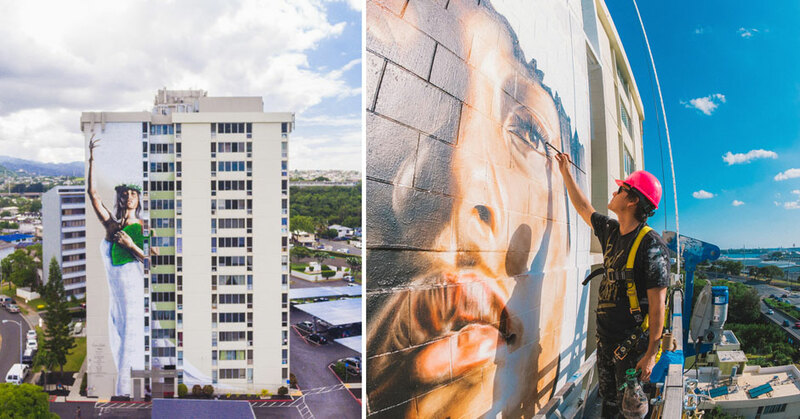 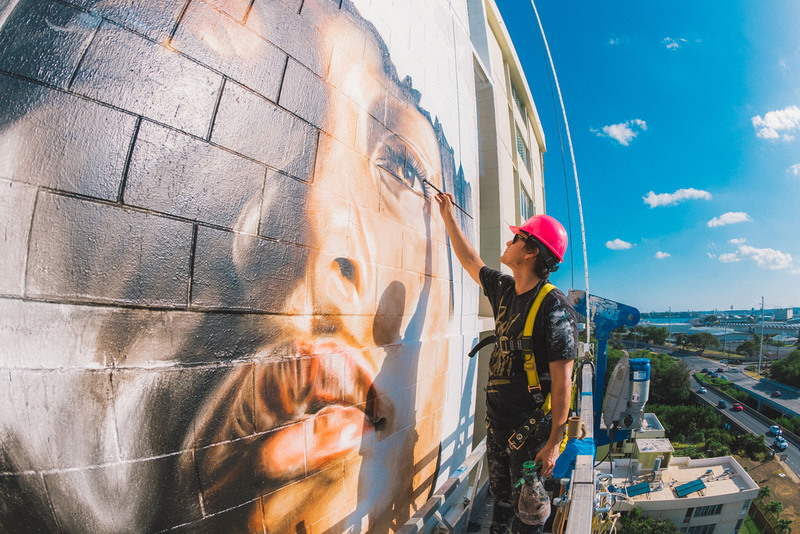 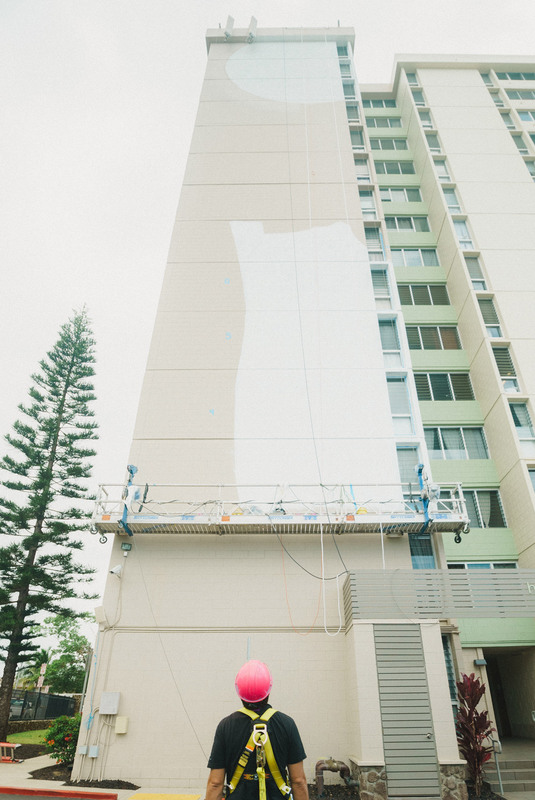 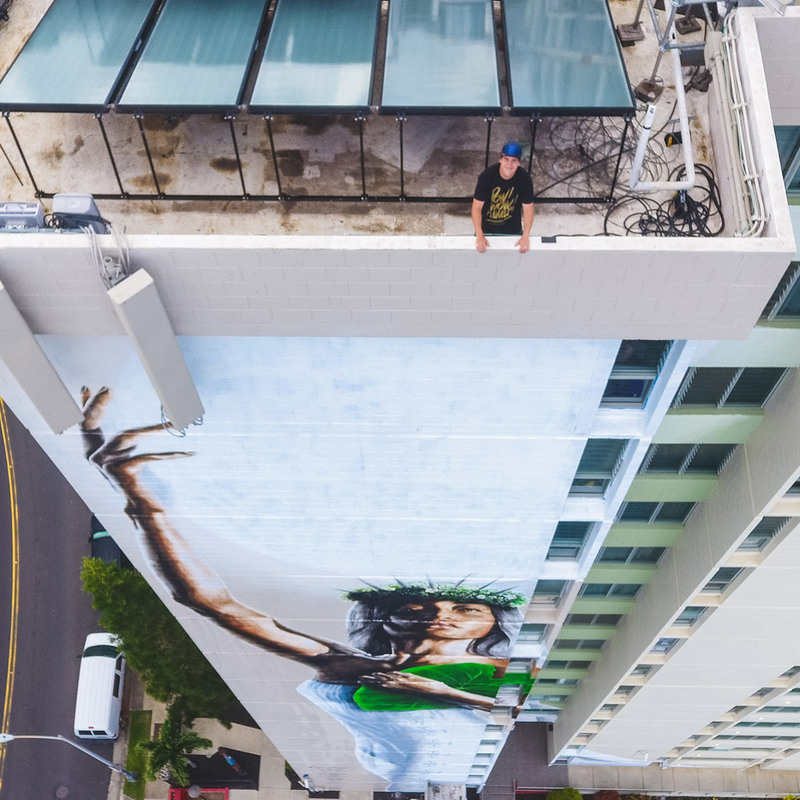 Artist Kamea Hadar has just completed what is now the largest portrait in the state of Hawaii; a 14-story mural of Hina, the Hawaiian Goddess of the moon. 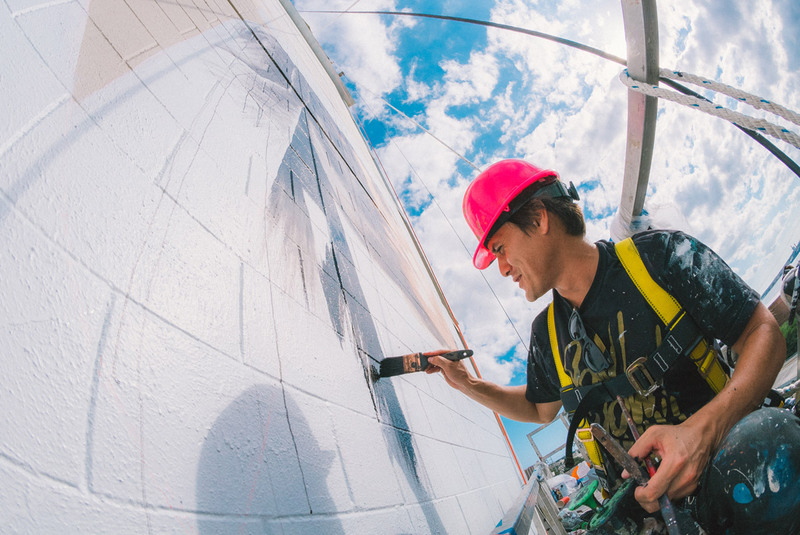 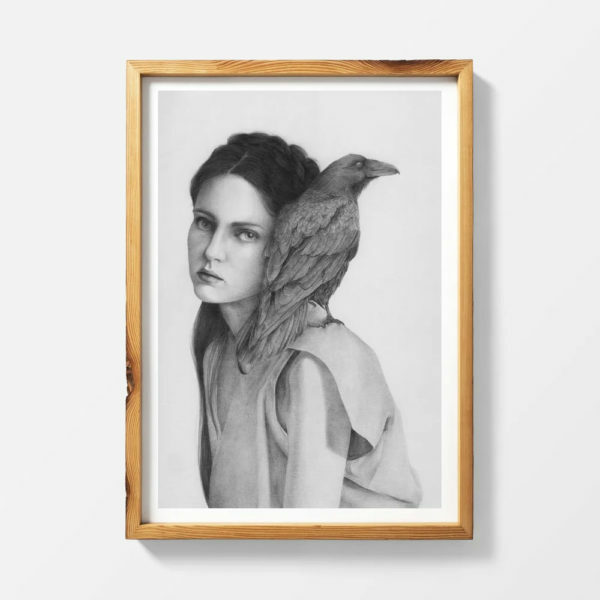 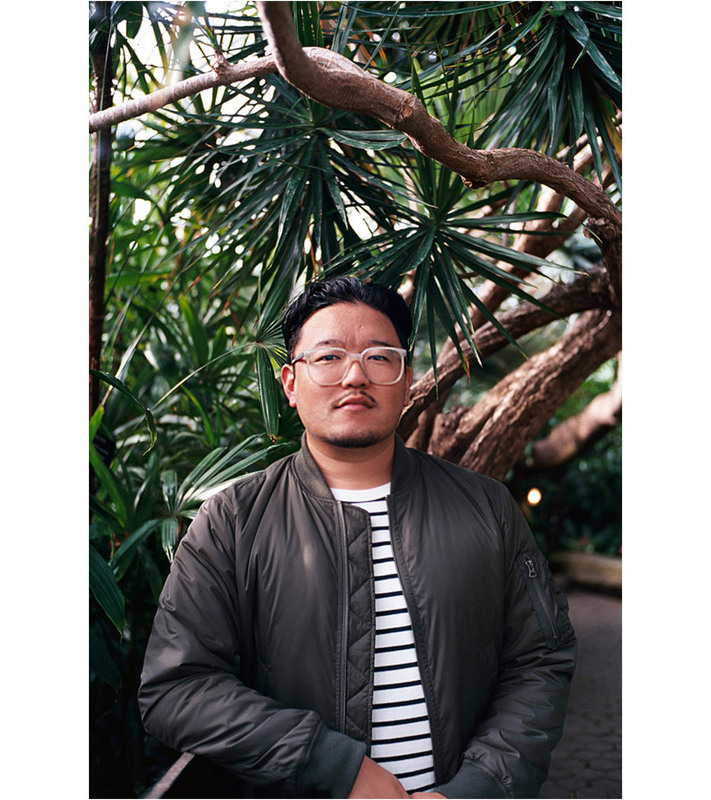 Under the guidance of another artist John Hina aka Prime, Hadar’s work continues to explore a modern-day form of mo’olelo or ancient Hawaiian storytelling. 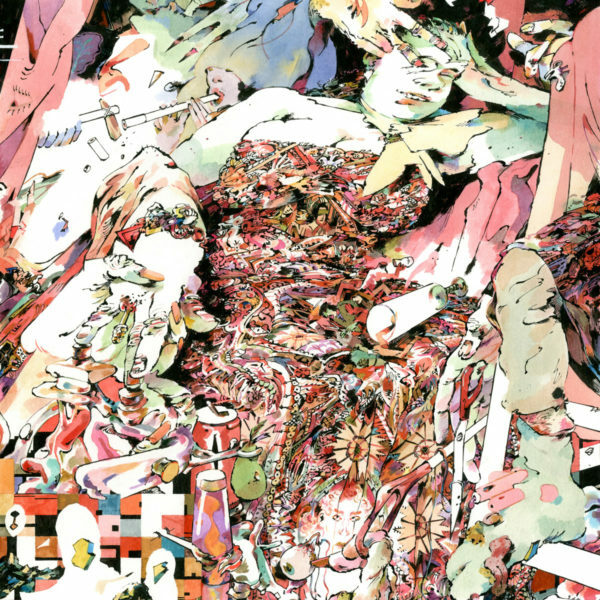 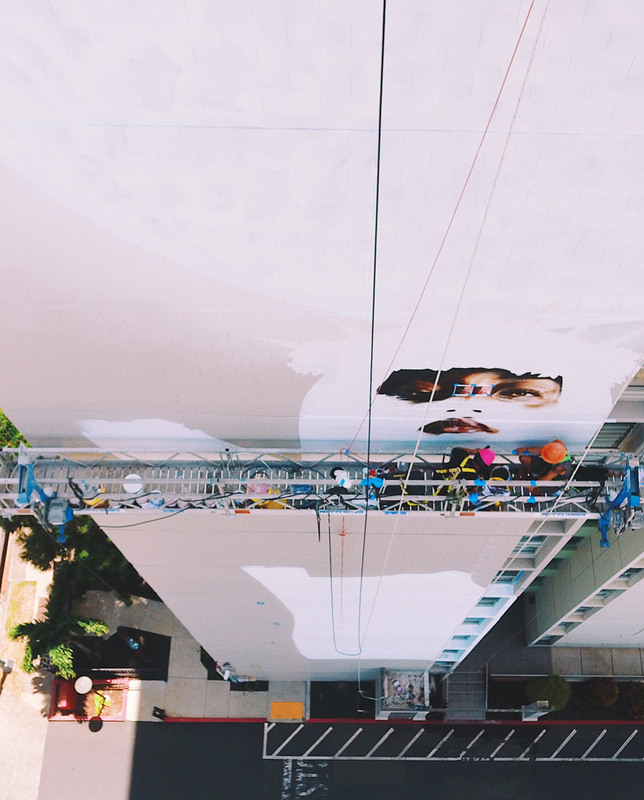 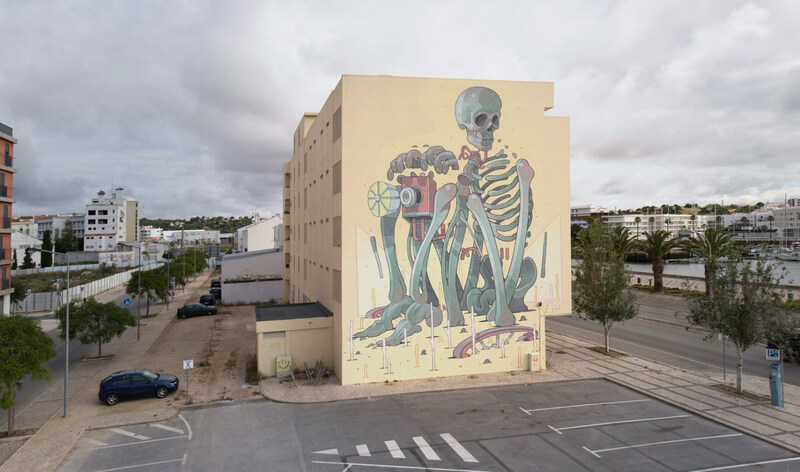 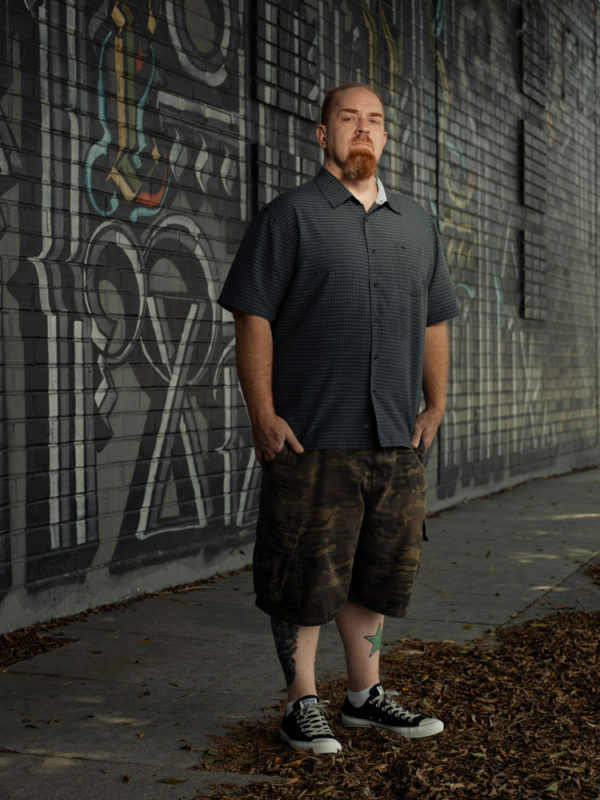 See more images (all shot by photographer Andrew Tran) of the massive mural below.